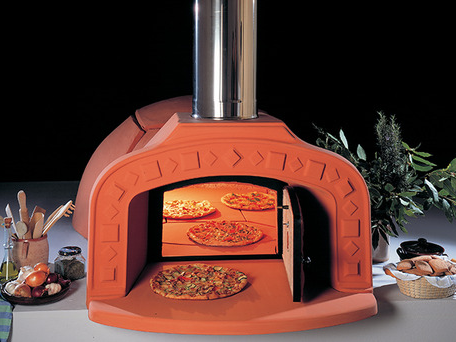 A real Italian wood fired pizza oven with electric light to illuminate the dome! 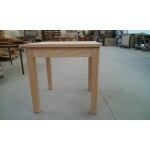 You can find a project with assembly pictures here. Quality. 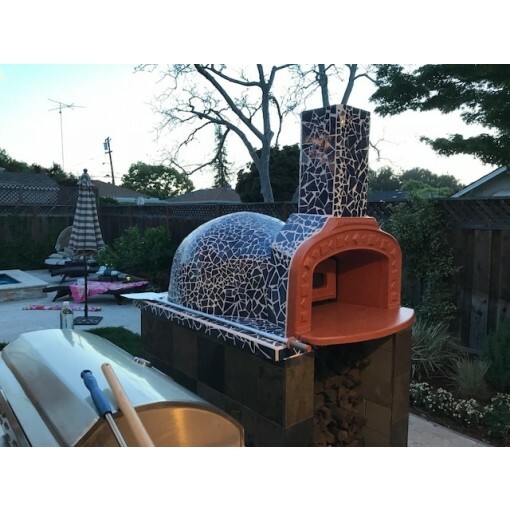 Like all other Forniref by Alfa this pizza oven kit is made from Alfa's proprietory refractory mix, strong, durable, and efficient. This is considered the top of the line residential refractory oven by Alfa. Design. 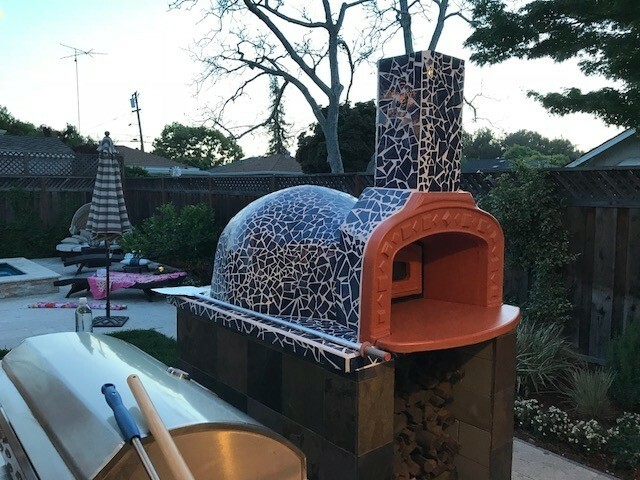 This oven has a traditional low Neapolitan dome which radiates heat onto the floor and delivers a crusty pizza in 90 seconds! 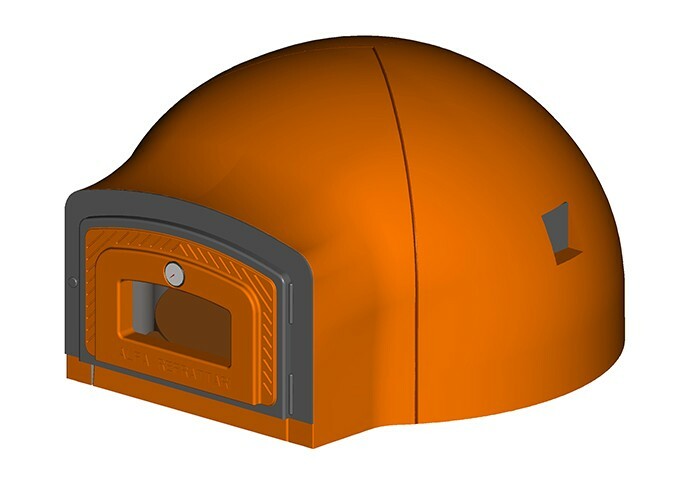 The dome is spherical as opposed to "half barrel" shape providing uniform heat inside the oven without cold spots! The cooking floor is 2" thick and the dome is just above 3". The Arch. 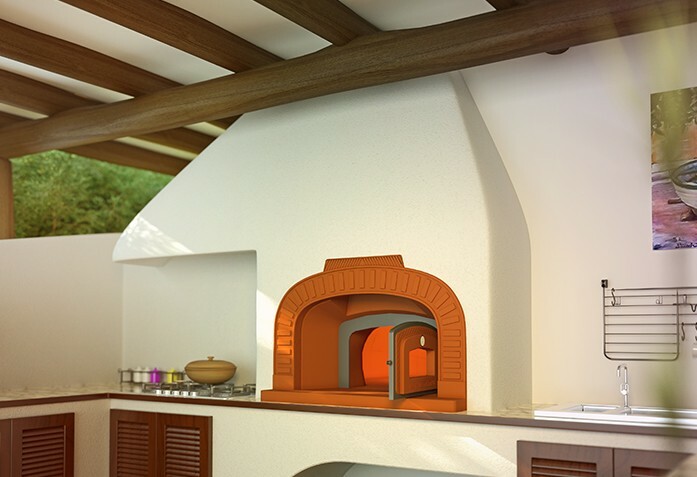 The oven includes the arch in front of it! 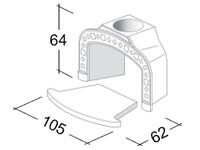 There are 2 arches available from Alfa for this oven - we use the more expensive one - Master Vision 2000 - the one that has the round chimney opening, not the rectangular one. The arch weights 330 lb. 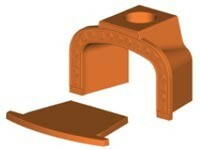 The chimney opening is 25 cm in diameter. 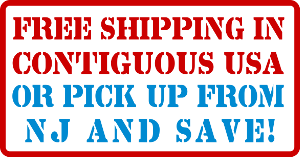 Common chimney size in the US is 6" or 8", if you are using these sizes you will need to close the gap between 25 cm (approx. 10") and your chimney. You can easily do this with refractory mortar or even a gasket. Special features. Apart from general construction two things about this oven stand out: the electric light to help you see well what you are cooking inside the oven and the door with high temperature ceramic glass. The light illuminated the oven on the inside and make it easy to tell when you food is ready. To operate it needs to be connected to a power source. The door is hinged on the metal frame around it and contains a temperature gauge as well as a see-through window to allow you to see your food while the door is closed and heat is thereby being saved! Assembly. 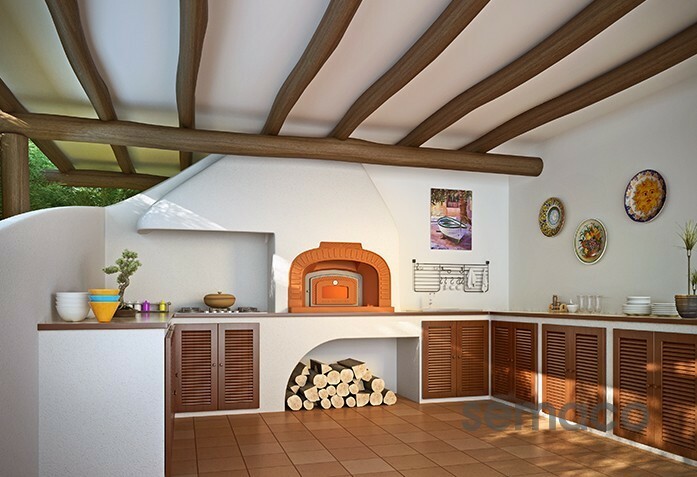 To assemble this oven you will need refractory mortar or cement. 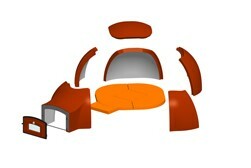 It has to be applied only on the joints of the dome pieces. You don't have to cover the entire oven with it. The floor is assembled without it. The kit does not come with mortar. You can buy excellent refractory cement from Ace Hardware or contact the closest location of our preferred supplier of refractories - HWR. It's also available from many other sources. Insulation. The kit includes all the insulation you will need for both floor and dome, we use high quality ceramic fiber board and blanket. Flexibility. This kit can be - and has been - installed in all environments: indoor, outdoor, or on a trailer. The kit needs no certification since it's classified as a "site-built appliance" and is entirely legal to install indoors providing the installation process follows the local building code (venting, distance to combustibles etc). Outdoor installations do not require any permits in the vast majority of US and Canadian jurisdictions. Use. This oven can be used both at home and for business. 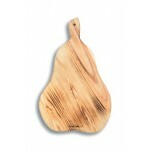 It's designed to produce everything you would expect from a wood fired oven: pizzas, bread, etc. 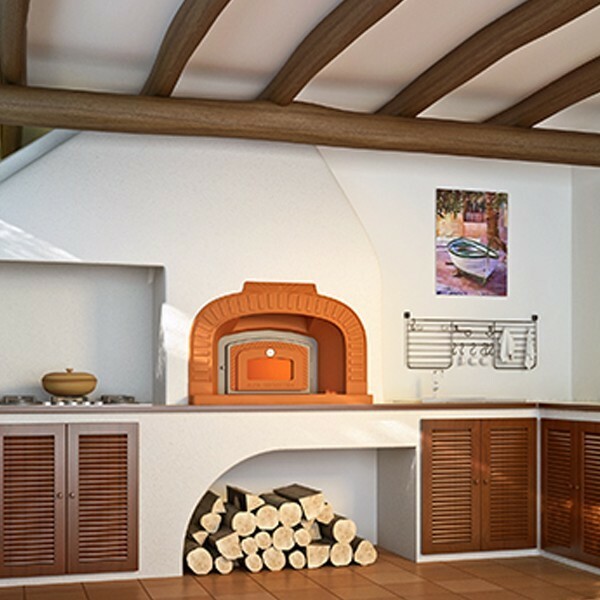 Depending on the size you can bake 4-6 pizzas or 18-27 lb of bread at a time. Specs. Specs for all 3 sizes we carry are below. You can also download fron this page technical details in PDF for each size. Be careful, those are in metric!